Trees to Plant to Attract Native Birds | Mr. Tree, Inc.
Few things are more enjoyable and enriching than hearing native birds singing outside your window. Birds bring so many benefits to their environment that it’s difficult to list them all. They are beautiful to look at, sing wonderful songs, and help control insect populations. In the Portland area, over 200 different species of birds pass through each year. Some live here year-round, some are migratory, but all of them call Portland home for part of the year. If you’re cultivating a yard or garden in the Portland area, you are probably interested in attracting a few birds to your property. There are many ways to do this, including planting certain species of trees, which will bring benefits of their own. While this article will focus on trees, there are a number of things you can do to make your property more welcoming to birds. First, consider providing a source of clean drinking water. A shallow birdbath can go a long way to attract native bird life; just make sure you keep it clean by changing the water every few days. 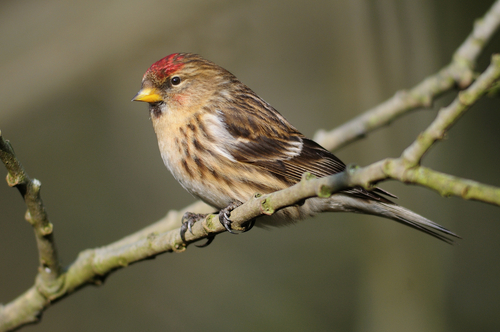 A bird feeder can also help to attract birds; however, we recommend using trees to bring them in naturally instead. You can place nest boxes around your property as well, although, once again, trees will provide an even better nesting spot. There are a number of hazards to birds in a modern, urban, or suburban environment. Striking windows, for example, is one of the leading causes of bird deaths and can be easily avoided if you prepare properly. The first step is to keep birdhouses and birdbaths far away from windows. You can also hang mylar tape strips from the top of your window; this will keep birds from flying toward your window. Another common hazard to native birds is domestic cats. Outdoor cats hunt animals when they are left outside and are responsible for attacking and killing many birds. This applies whether or not the cat is kept well-fed, so keep your cats indoors! Birds can also be harmed by the use of pesticides on your property; birds can naturally help you deal with harmful insect species, helping to eliminate the need for pesticides anyway. Fertilizers can also potentially harm native bird species. Planting the right trees can help eliminate the need for fertilizers. Once you have taken care to ensure your property is safe for birds, you can start considering which trees to plant. If you’re trying to attract native birds, consider planting native trees as native trees are easier to care for in their natural environment. They require less water and also bring in native insect species, which naturally help pollinate flowers and provide other benefits. In Portland, one tree to consider is the Red Alder. This is a large deciduous tree that yields seeds that birds such as the pine siskin and common redpoll enjoy. The Cascara is another tree that is very bird friendly. It’s a small tree and works well in smaller yards; it has attractive green-white flowers and grows small berries that native birds such as the Cedar Waxwing particularly enjoy. Bitter Cherry trees are also small trees that draw in wildlife, especially birds; they work well in small yards and provide fruit that, while not very tasty (as the name implies) to humans, is a favorite of local birds. Oregon Crabapple trees are a great choice if you have a slightly larger yard, although you don’t need a huge one for this tree to thrive. The Oregon Crabapple does best in wet conditions and is a beautiful tree with pink flowers and dazzling red and orange fall colors. This tree is a favorite of finches and other small birds. While native trees are a great choice, you can also use other species. As long as a tree provides a nesting space, and seeds or fruit for the birds to eat, native birds will happily arrive to enrich your property with their presence. Holly is a great evergreen tree; the berries will attract native bird species and it grows very quickly. As an evergreen, it will remain beautiful all year round. Other fruit trees such as Apple and Fig trees can provide fruit for you, as well as the birds! There are many other trees that can be effective, but, once again, you should make sure they yield fruit or small berries if you want to bring in birds. Once you’ve started the process of planting trees on your property, you need to make sure they are properly cared for. If the trees are not properly taken care of, they may become sick and not be able to yield the fruit necessary to attract birds. Make sure you research the species of tree you’re planting and its specific needs in regard to soil and water. Take care to ensure that your tree is pruned occasionally, but not too much. Depending on the species of tree, you may need to take special steps to care for your tree during the winter. Sometimes trees will need to be wrapped to prevent cracking as the temperature changes as the sun comes up after a cold night. Trees require a regular schedule of care to stay healthy, and that’s why it’s a good idea to obtain the help of a tree service to regularly perform check-ups. A tree service, such as us at Mr. Tree, is absolutely essential for optimizing tree health. We can prune your tree when necessary, check it for pests, give recommendations in regard to water and soil needs, and provide any other help you may require. Eventually, you will have a healthy yard full of trees that are teeming with a variety of lovely native birds!